Let Your Big Day Sparkle! The popularity of sparklers is growing day by day. Having something bright and shiny like sparklers is always good for a party to build up the mood and create a festive atmosphere. A wedding is an epitome of celebrations in one’s life and so, decorating it with sparklers is a great idea. With time, sparklers have evolved tremendously. 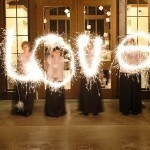 Today you can buy wedding sparklers in literally innumerable shapes, sizes, designs and styles. 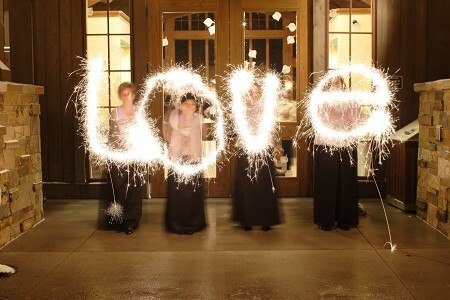 Here are some ideas of incorporating sparklers in your big day. Here is a great idea of handling sparklers to your guests. 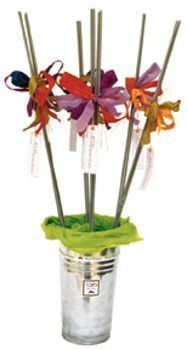 Keep them in sparkler holders and place them near the seats of guests in the reception hall. You get sparkler holders in a wide range of styles, themes and colors, so that you get a great variety to include them in your special day. The holders that match your wedding theme add a superb touch to the entire ceremony. Holders also make it easy for your guests to hold in hand, with not much of efforts or mess. 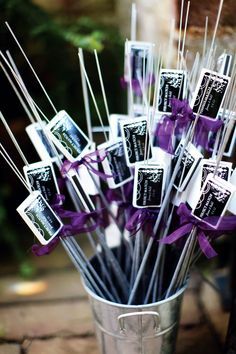 An easy way to distribute sparklers to your guests for your send-off line is to keep them in a bucket and place the bucket near the entrance of the venue, which is a highly visible spot. You can keep a sign at the bucket to let them know about how and when the sparklers are to be used. Sparklers with decorative matchboxes are also an awesome idea. Similar to the sparkler bucket, decorative vases or other containers can be filled with sparklers to use as beautiful centerpieces. This is an easy way to distribute them, along with decorating the tables. Here too you can keep written instructions for the guests in form of small tent cards, so that you need not make announcements. Even you can instruct the guests to light the sparklers while they are still in the vases. If you trigger your creativity a little, you will get dozens of such wonderful ideas to include sparklers in your wedding. Consider the variety of shapes, styles and sizes of the sparklers, and more and more innovations will come to your mind, and you can decorate your wedding in a great sparkly way!